During that time, we’ve pulled together irrefutable evidence that what dads do, or don’t do, can profoundly affect children’s health and safety; how they feel about themselves; how well they do at school; and their friendships and other relationships. It’s now clear for all to see that fathers’ impact lasts lifetimes, and can be passed on from generation to generation . We’re not a membership organisation, and don’t campaign for fathers’ rights. We focus on policy, research and practice. Our robust, high quality research and analysis, and many years of practical expertise, are internationally recognised. We’ve put fatherhood on the political agenda – for example by negotiating successfully for the introduction of 2 weeks’ statutory paid paternity leave (from 2003) and shared parental leave (from 2015). We work with public services, employers and others to help them ‘see’ and respect fathers, and run projects to help disadvantaged dads connect with their children. But we want to do more. With the right resources we can make life better for millions of children, by giving men the support they need to become confident, sensitive, hands-on fathers. “You probably know me from my role as Baldrick in Black Adder, or from the Time Team TV series. I’m very proud of the work that’s made me famous. But you know what – like most fathers, it’s my children that mean most to me. I want all children to experience a great relationship with their dads. Fatherhood is not always easy, and as a society we don’t do anywhere near enough to help make sure children get the dads they deserve. 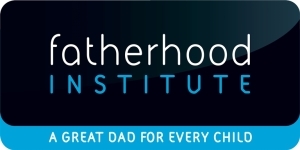 That’s why I’m asking you to support the Fatherhood Institute, whose work I greatly admire. To become a Friend of the FI we ask you to make a regular donation of £20 per month or more by direct debit via our Justgiving page. Your regular donation helps us plan our work more effectively, meaning we can develop projects without the need for government funding or lengthy grant applications. Also, having a number of supporters giving monthly by direct debit helps further our cause by showing that fatherhood is something people really care about. £20 a month supports two young dads-to-be to go to antenatal classes and train as mentors. Fathers Reading Every Day is a ‘reading for pleasure’ programme, delivered through primary schools and children’s centres, that has been shown to improve children’s (especially boys’) school results. We want to bring it to more disadvantaged families. Please help us by donating to our FRED campaign. OR send us a quick text donation of £10, by texting DADS41 £10 to 70070. You could raise money for us by organising your own event. You could even donate/fundraise in memory of a loved one.